I tried sooo hard to capture the beautiful shine of the Shimmer Paint in this photo but this was the best I could do! 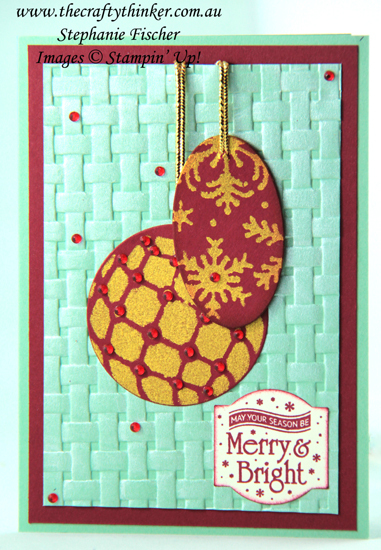 I swiped Frost White Shimmer Paint across the Basket Weave embossing with a sponge for the first layer of lovely shimmer. 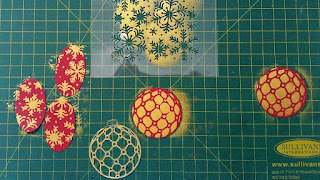 Having cut the circle and oval I used the stencils I had made and gently sponged with Vegas Gold Shimmer Paint using a soft pouncing motion. 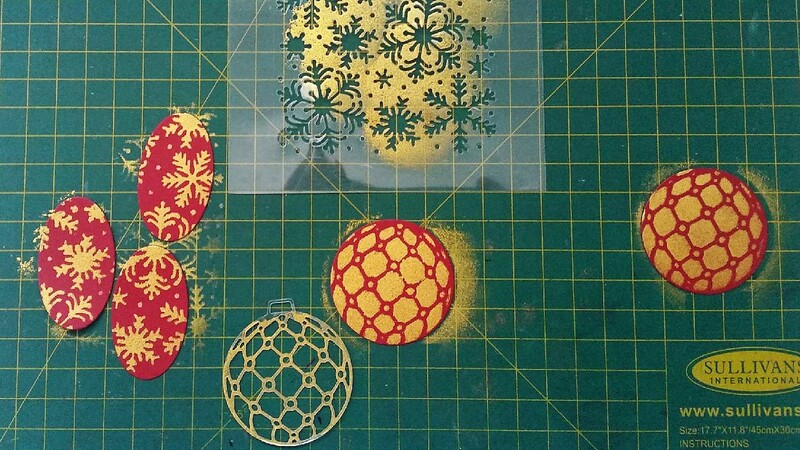 To make the stencils, I cut Window Sheet with the Blizzard Thinlit and one of the Detailed Baubles dies.